Here is another 30 minute natural bodybuilding workout by popular demand. This week I want to share with you a 30 minute shoulder workout that is guaranteed to fry the shoulder muscles. Once again, remember that there is not one magic bodybuilding workout that will give you all of the muscle growth that you desire. You need to change your workout routines every 3-4 weeks in order to keep results coming, and the more advanced you become, the more variation your training needs. Another thing that needs to be understood is that no workout routine will burn off the fat for you. Burning off the fat only happens when the diet is correct. 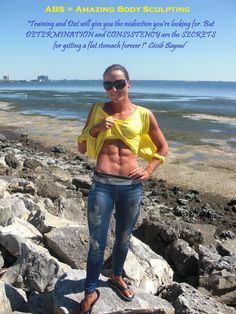 If the nutrition is inadequate, your fat will stay right where it is at. And if your nutrition is horrible, the fat stores may actually increase. Thus, make sure that you are following a good nutrition program such as the fat burning diet I present on this website if losing fat is what your goal is. Now, if you are looking to stimulate some new muscle growth in your shoulder muscles this 30-minute shoulder workout routine is guaranteed to add inches of width to your back as well as thickness! This workout is fast paced and it involves the use of trisets and supersets. A triset is three exercises performed one after the other with no rest in between. You only rest the prescribed amount of time after the third exercise. A superset is the same as a triset but with only two exercises in the circuit. 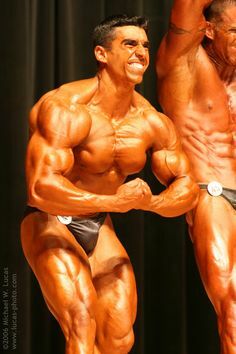 It is important to understand that this routine is for the more advanced bodybuilders that visit this website who have at least a solid year and a half of training under their belt. If you are a beginner, you are better served by the routines presented on my Getting Started in Bodybuilding article. Without further ado, here is my specialization workout for back for those brave souls out there who are looking to cause some new growth. Note: Use the same dumbbells you used for the lateral raises for your bet over laterals. You may need to decrease the weight in order to stay within the recommended repetition ranges for the 2nd, 3rd and 4th trisets. Follow this workout with a either a protein shake that contains carbs as well -OR- 6 ounces of chicken breast (3 ounces if you are a female), vegetables, and a carb like baked potato or rice in order to maximize recovery and get the muscle growth process started. For workouts like this, I like to use a one body part per day training split. A one body part training split is designed in such a way that only one muscle group is targeted in each bodybuilding workout. 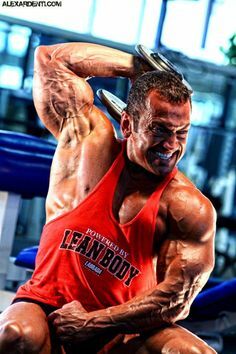 This is a great way to train for very advanced bodybuilders who are significantly strong and can generate such a high level of intensity in each workout that training less frequently will allow for better results and recovery. 1. It allows the advanced bodybuilder to just concentrate on the body part at hand and work it from all possible angles. At at advanced level, the goal is to not only build new muscle mass but also to correct any imbalances and achieve perfect symmetry (or harmony between body parts). 2. It allows the muscle to better recover from the high volume and intensity required from this advanced level of training. Below you will find a good examples of how I would set up my one muscle group per day training split in order to prioritize my chest. Try this workout out for four weeks before changing to another one and feel free to alter the order of the exercises every week in order to keep things different for your body. By the way, after doing this workout I recommend that you do a lower volume workout such as the 5 sets of 5 reps workout for 4 weeks. 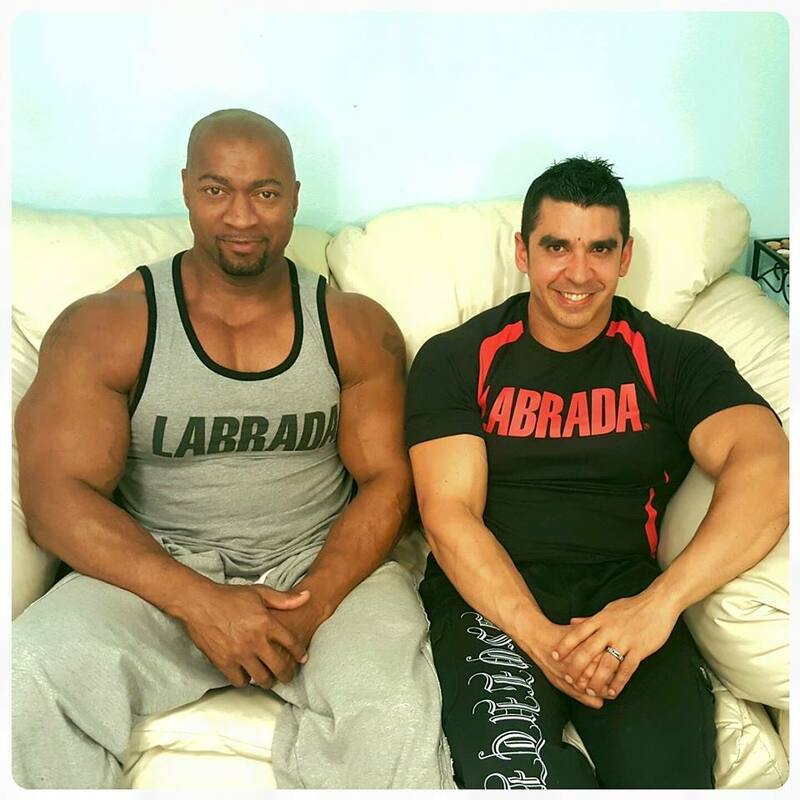 If you find the information of this website useful, please feel free to check out any of my best selling natural bodybuilding and fitness publications here. Hugo Rivera Best Selling Fitness Author Fan Page. What Are “Normal” Testosterone Levels and How To Increase Them If They Are Low? 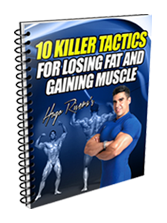 Just enter your email, and I'll send over "10 KILLER TACTICS FOR LOSING FAT AND GAINING MUSCLE” absolutely FREE. 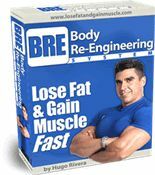 This report completely rips away the BS, and gives 10 easy to implement tactics you can employ immediately to start getting shredded and gaining lean muscle mass. Get Shape Up Now For FREE & Join my All Natural Body Building Newsletter.